Music played a special part in all aspects of life and in the evangelization of the natives. Realizing the musical capacities of the Indians, the Jesuits sent important composers, choir directors, and manufacturers of musical instruments to South America. The most famous was probably the Italian baroque composer Domenico Zipoli, who worked in the reductions in Paraguay. Fr. Johann Mesner and Fr. 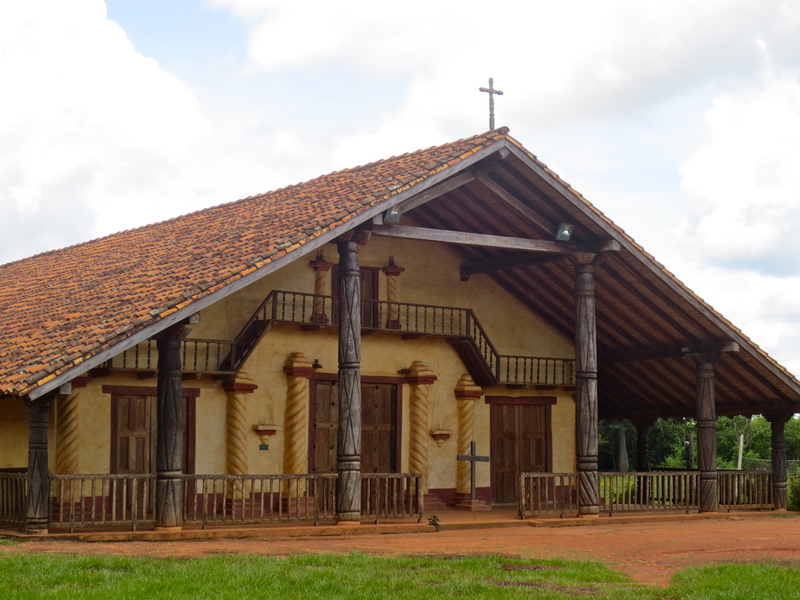 Martin Schmid, two Jesuit missionaries with musical talent, went to the Chiquitania. Martin Schmid built an organ with six stops in Potosí, disassembled it, transported it by mules over a distance of 1,000 km on a difficult road to the remote mission of Santa Ana de Velasco, and re-assembled it there from hand. It is still is use. The Jesuits used musical lessons as a first step to the Christianization of the natives. now, we’re on 2014: Directly from the Mission in Santa Ana, although quaint, discreet, a favorite for our family, because of its humble beauty. A bonus added to our visit to the Mission Jesuitica de Santa Ana de Velasco? Listening to a real play on this simple, yet so magnificent organ. Enjoy as much as we did! An extraordinary discovery was made in 1972, at one of the old Jesuit missions of Bolivia. There were 3,000 sheets of Baroque music in a trunk kept in the priest’s lavatory and used as toilet paper. Most of it was by an almost forgotten Italian-born composer called Domenico Zipoli (1688-1726). “How on earth did Baroque composers end up in South America to produce this extraordinary fusion of classical and local traditions that is still being discovered?” Question asked by Simon Broughton – worth a read, for sure! Apart from its beautiful church (the most indigenous of the mission templos, as it was built entirely by natives without Jesuit assistance or direction), Santa Ana is famous for its music. 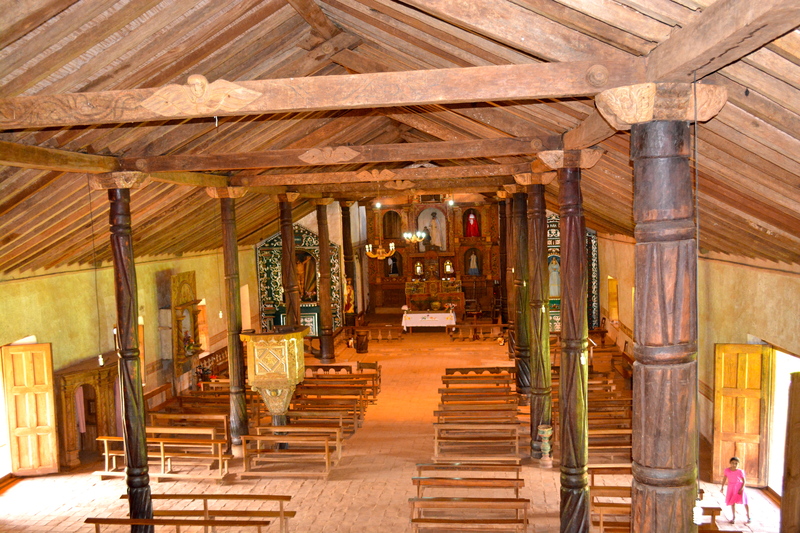 The church’s organ and diatonic harp (the latter of which was built by native hands) are still functional, and during restoration, thousands of missionary-era musical scores were discovered. And guess who just decided to sit down and play a bit for her [so-very-proud!] children – after the very-gracious young girl Antonia finished her piece? 😮 You guessed right! Thank you for joining us on this beautiful journey through art, music, history and emotions! A contrast to your last one! How about trying to go during this year’s Baroque Music Festival? I’d love to go with the family, everyone says wonders about April’s festival. Also, thank you very much for taking the time to stop by and comment! que bom que voce ainda tem intimidade com o piano! engracadinho… mas se voce assiste ao video, o som eh lindissimo! beijos! Previous Previous post: Photo Journal: UNESCO World Heritage Sites in Bolivia – The Jesuit Missions.